I’ve been feeling like a luddite for some time now, hanging on to Firefox and using Google Chrome only rarely. However, with the advent of Google Plus (which I’m still exploring), I decided to migrate over to Google Chrome. In this post, I’d like to share some of the Google extensions I’m finding handy and the bookmarklets and other learning tools I’ve grown fond of in Firefox that also work well in Google Chrome (aka, my personal learning environment or PLE). 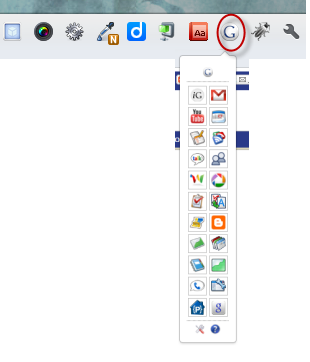 Symbaloo is a tool I use that’s browser agnostic and I immediately pinned it to my homepage and added it to my bookmark bar. It’s a great way to keep track of and share your PLN and PLE tools. 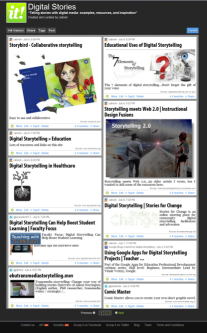 I keep my PLN as the first tab (only a portion is shown) and remaining tabs are various resources I’ve also shared. To create your own Symbaloo resources, read this post. Scoop.it is my current favorite curating tool which allows me to find and share a collection of resources that relate to topics I’m interested in. I like the visual look of Scoop.it which allows me to quickly remember why I’ve posted items and I can also annotate what I’ve shared. Others can also comment on and share various items in this resource and suggest items to me. I was happy to find that the Scoop.it bookmarklet works quite well in Chrome. Vi.sualize.us is a social bookmarking service specifically designed for bookmarking images. Happily, it also works on Chrome and I find it very useful as a way of bookmarking images associated with abstract and not-so-abstract concepts. It inspires me as I develop learning materials. Diigo is my favorite social bookmarking site. 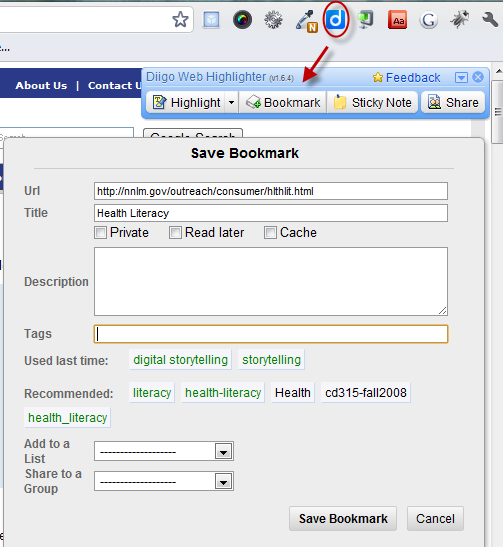 It allows me to bookmark, tag, add sticky notes and highlight portions of a Web page. 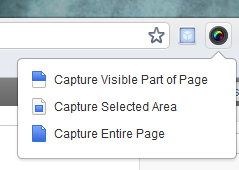 The bookmarklet works fine on Google Chrome. You can find out more about Diigo here. I added Google Books to my bookmark bar because I keep forgetting how many useful resources are included in this site. From fiction classics to textbooks, free stuff abounds. You can also keep track of your books using toolbars, add them to your library and mark them as favorites or to-be-read. Google Plus: It’s new! It’s trendy! Is it worth it? More about that in another post! It does have a learning curve, but an immediate “like” I have is an ability to carve out interaction spaces based on my interests and what I think are the interests of my peers/friends/colleagues ( though that’s a challenge as well, since I’m not always sure about the latter). I can certainly see carving out Google circles and hangouts for classroom and training activities. There are times when you want a full-page screenshot of a Web page and Awesome screenshot does the trick. One of the best ways you can learn about Web development is from other Websites. The Web developer tool is a useful extension that allows you to peer behind the scenes to view the workings of a Web site. 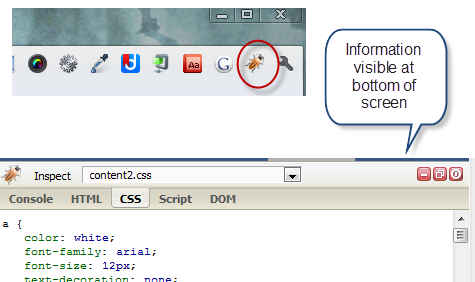 Firebug Lite has less bells and whistles than Web Developer but in my opinion it’s easier to grapple with the things you want to see most often (e.g., the CSS code a website is using). Remember to use these tools for good and not for evil. The point is to learn from other Web sites not to violate copyrights. Both a Web development and graphic design tool, Eyedropper lets you learn from those color schemes you’re inspired by. Once you’ve identified a Web color, you can learn all about its attributes, including its hexadecimal value. Pretty much what it sounds like, Google Dictionary lets you quickly find the definitions you need. Goo.gl is a handy url shortener that automatically creates QR codes while it’s at it. You can keep track of the viewers who scan the url/QR code using this tool. Symtica makes it easy to find and access all of your Google apps. Why not live in a completely Google world? With all the Google tools available, you might be tempted to stay in a Google world. But the (at least) one place, where I’m not Google-fied is when it comes to searching. I absolutely hate all the sponsored ads that are appearing on Google search pages and I’m a firm believer in doing research using multiple search engines to get different perspectives of the world. Still, have to say I’m liking Google Chrome even though I’ll continue to resist using Google search exclusively. Goodbye (for the most part), Firefox. What are your favorite productivity tools on Google Chrome?